Well before dawn on a mid-November morning, a caravan of customized pick-up trucks begins filing out of Duncan, Oklahoma. At that dark hour they appear to be nothing more than campers, but they are dog trucks. On straw and cedar shavings inside these mobile kennels are a half dozen Golden Retrievers, possibly a Chesapeake on vacation, and many, many Labradors. They are going to compete for six days in the most demanding trail of working retrievers—the National Championship Stake. This destination is open to only the best dogs, champions like Hawkeye’s Smokey Joe, B. B. Powder, Pot Pie’s W. A. Mega, and Riggo. Boyd Gibbons has followed these dogs and their trainers on the circuit, capturing the lives they lead and the techniques they use on the road to the National Championship Stake. 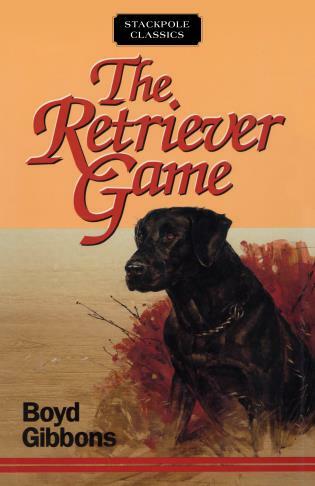 The Retriever Game chronicles the lives and personalities of the men, women, and dogs chasing the Championship. For anyone who loves retrievers, for anyone who enjoys a good dogs story, for anyone who knows a Labrador, Golden, or Chesapeake is an extension of the owner’s personality, this look at the life on the field trial circuit will be informative and engaging reading. Boyd Gibbons is the director of the California Department of Fish and Game. Prior to this appointment he worked on the senior editorial staff of National Geographic for fifteen years, where his major articles took him across the world from Finland to Tanzania. Gibbons also served as secretary to the Council on Environmental Quality and deputy undersecretary in the Department of the Interior during the Nixon administrations. He is the author of Wye Island. Gibbons lives in Sacramento, California.